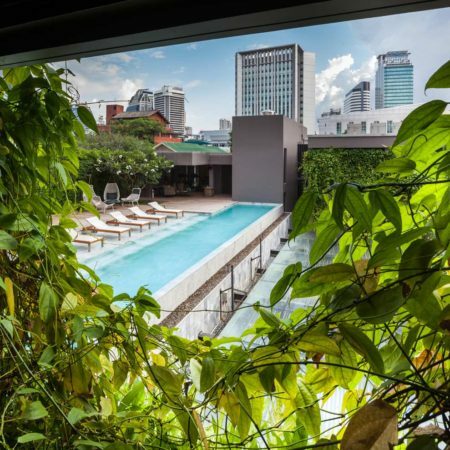 In Bangkok’s crowded neighborhood, the owner wanted to convert his abandoned townhomes into a new long stay hotel. 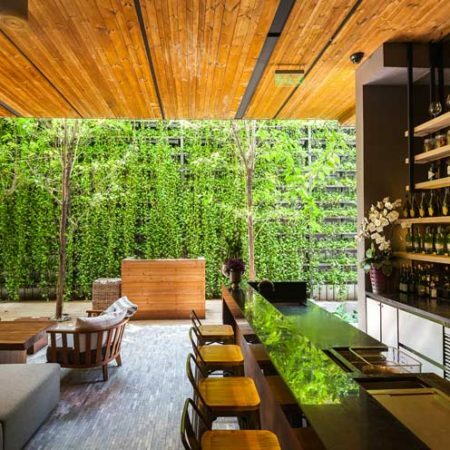 Located in a small dead end alley, the site basically has no view to look at. 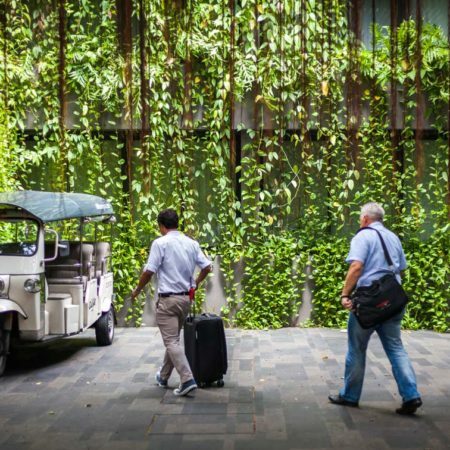 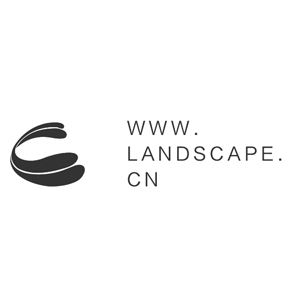 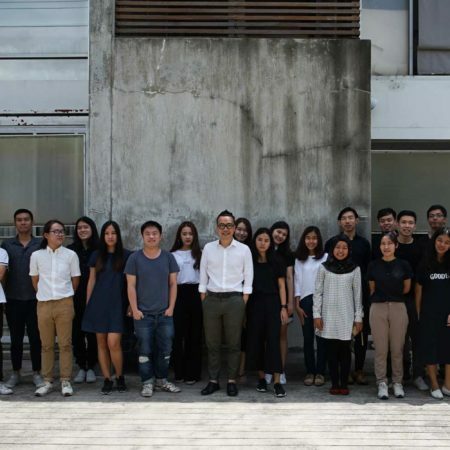 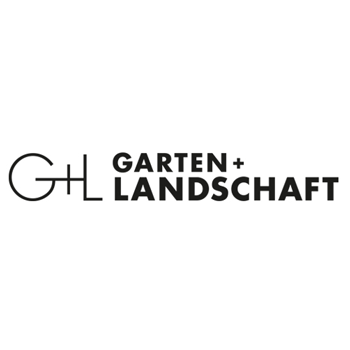 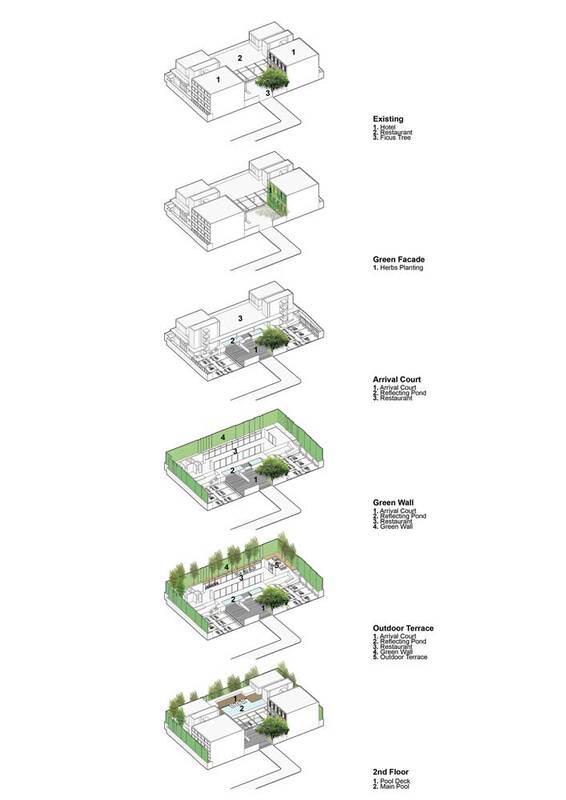 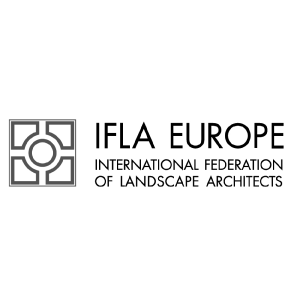 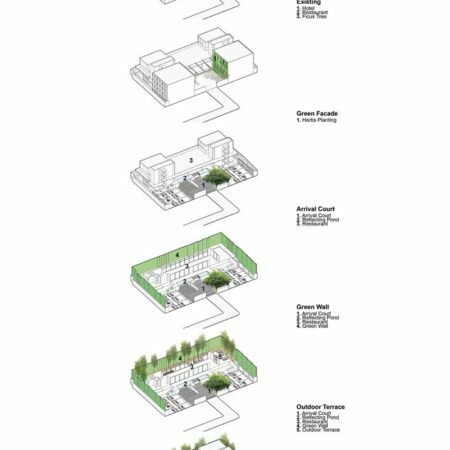 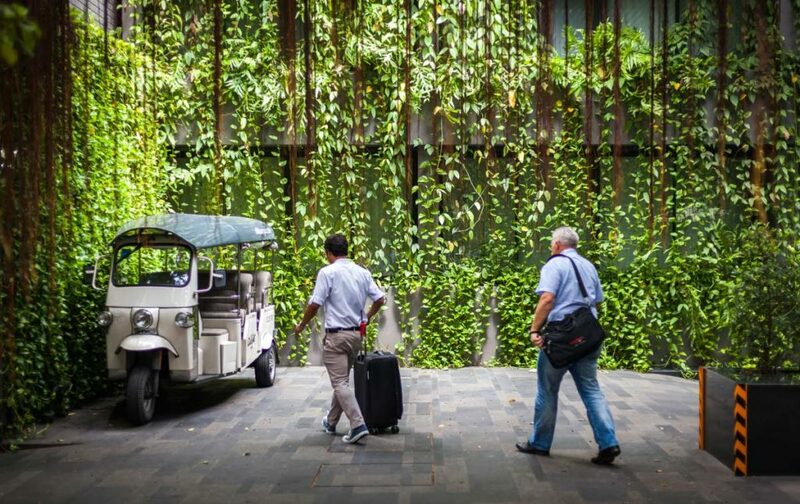 Instead we turned our goal into how to create more comfortable living conditions for hotel residents by reducing the site’s temperature by a few degrees compared to Bangkok’s rising heat just outside the property. 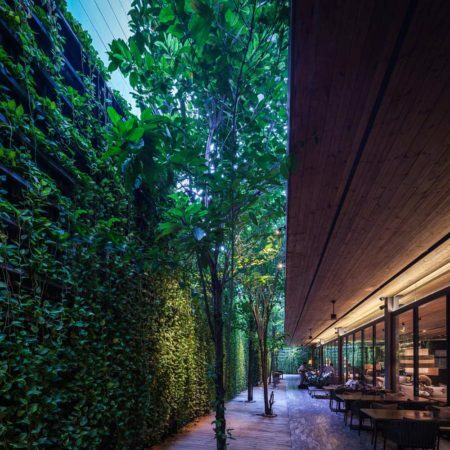 In order to reduce the temperature, just keeping the tree was not enough. 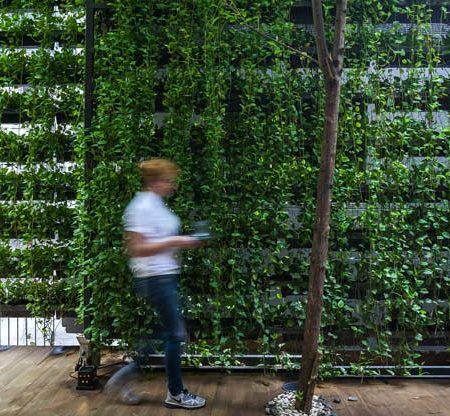 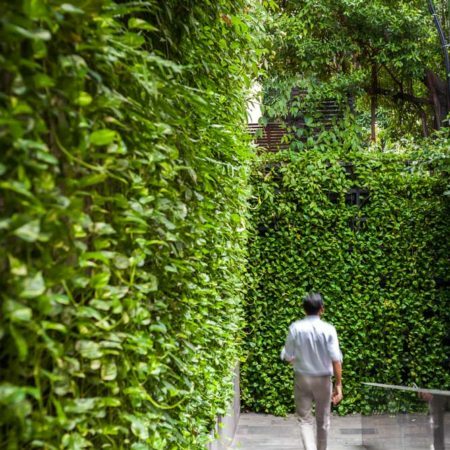 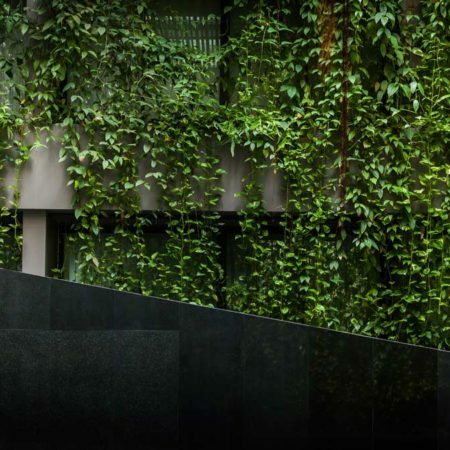 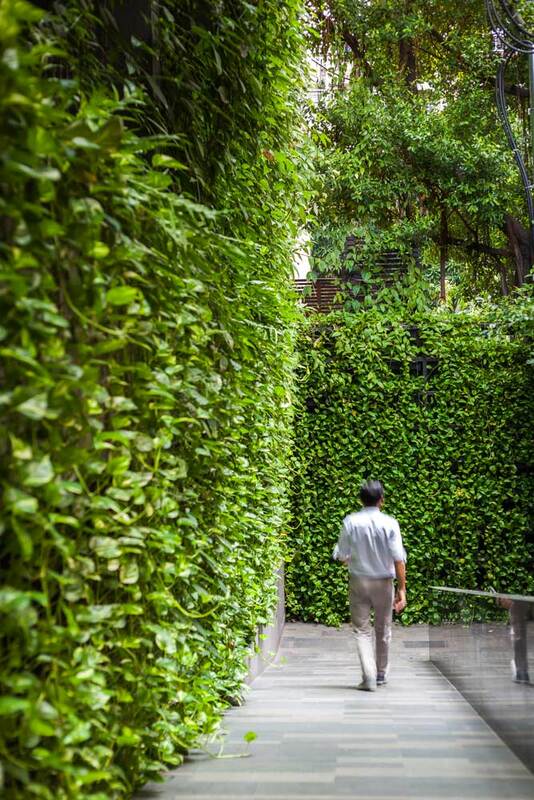 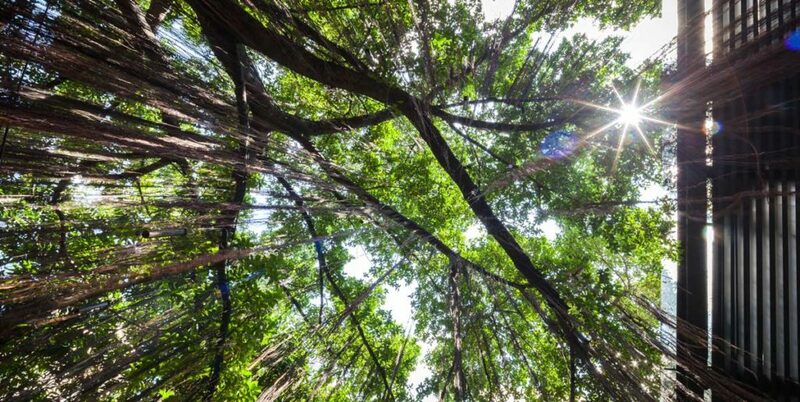 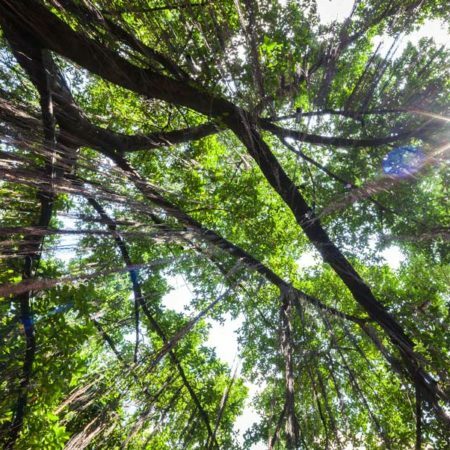 Tall green walls were strategically replaced old concrete walls. 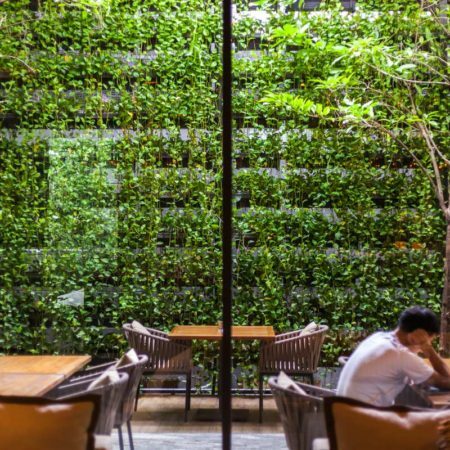 Epipremnum aureum were planted in a series of stacked planters, watered by drip irrigation system to safe water consumption. 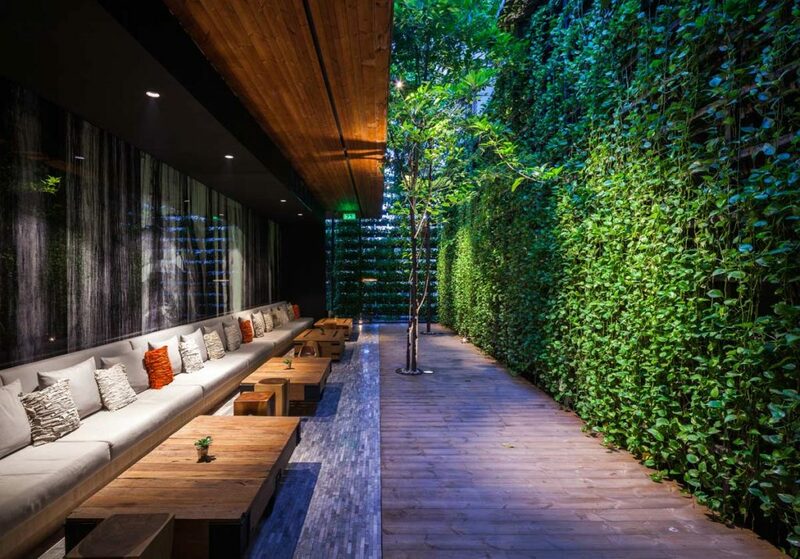 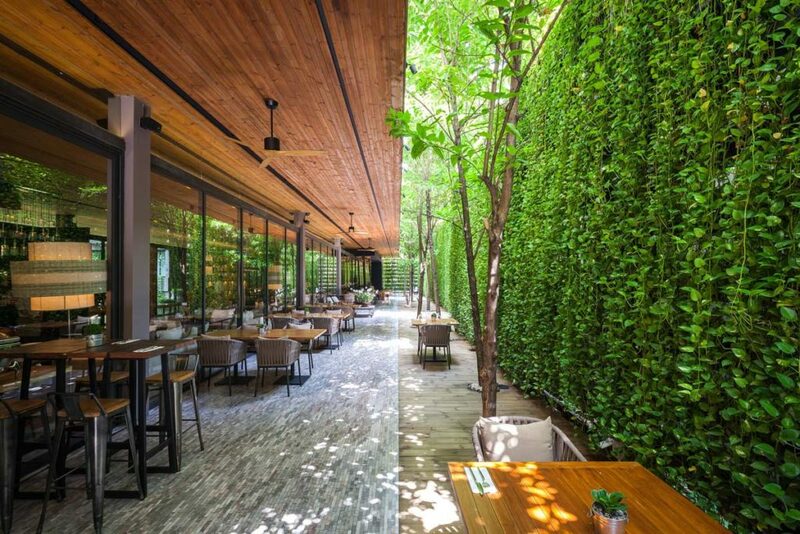 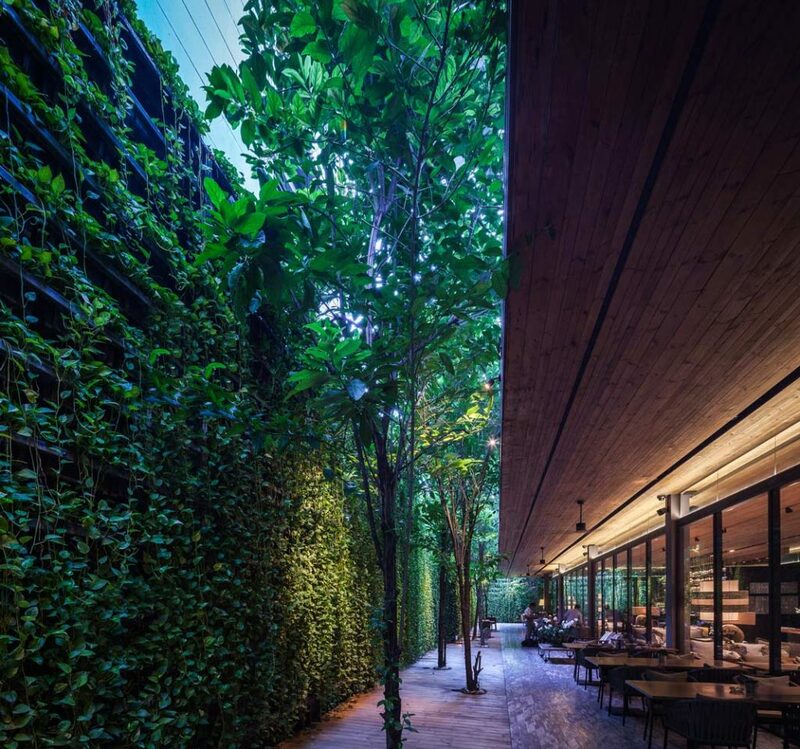 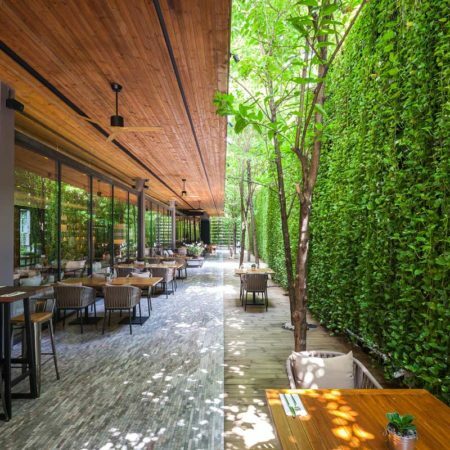 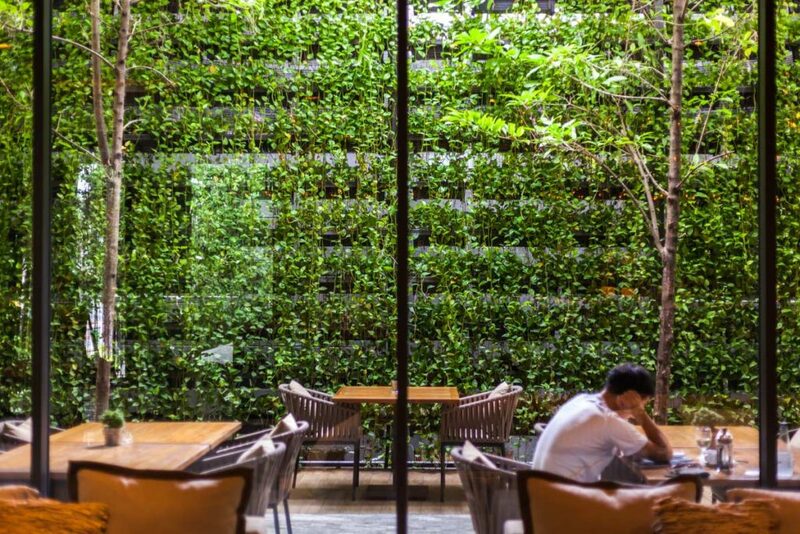 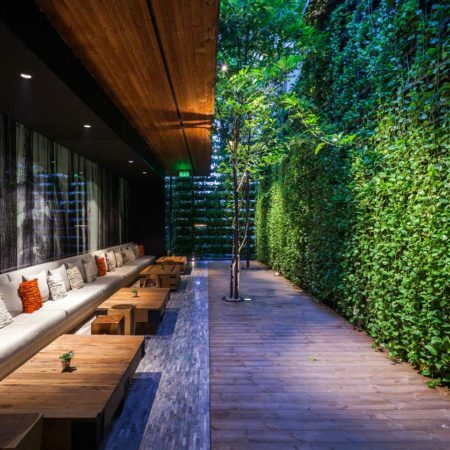 From inside the restaurant, hotel residents would see these green façade instead of typical concrete walls. 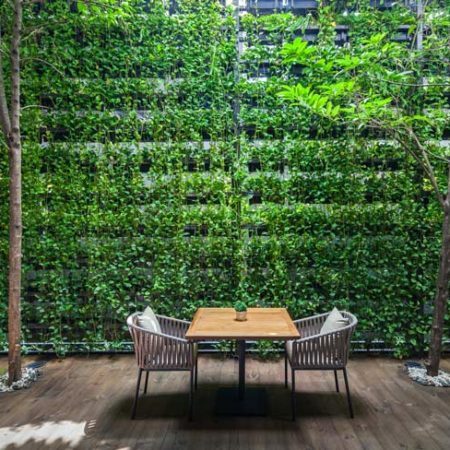 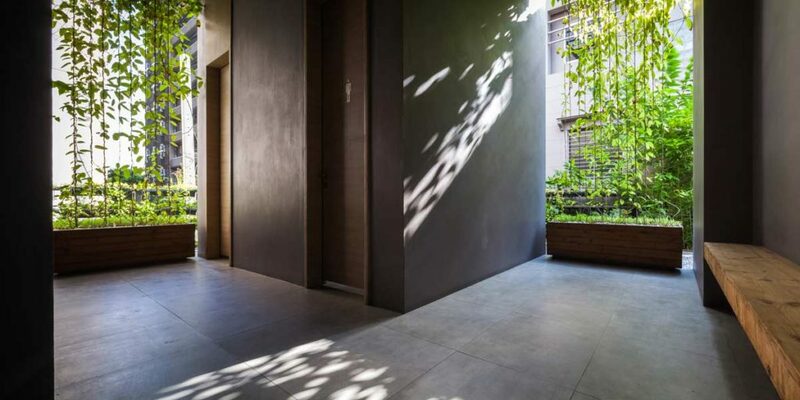 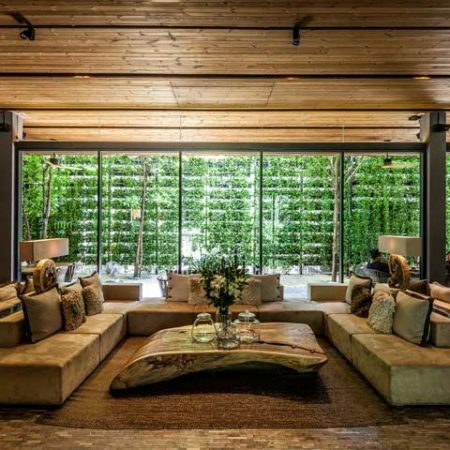 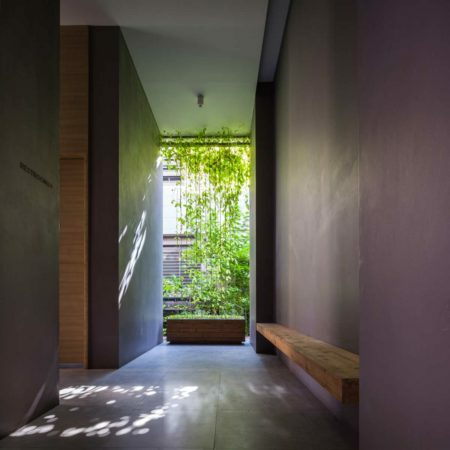 They can also sit comfortably outside, because the green wall significantly helped reducing the heat as well. 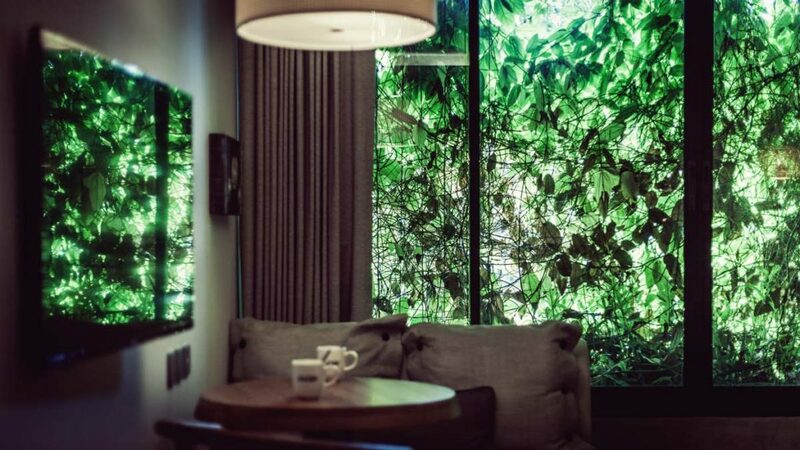 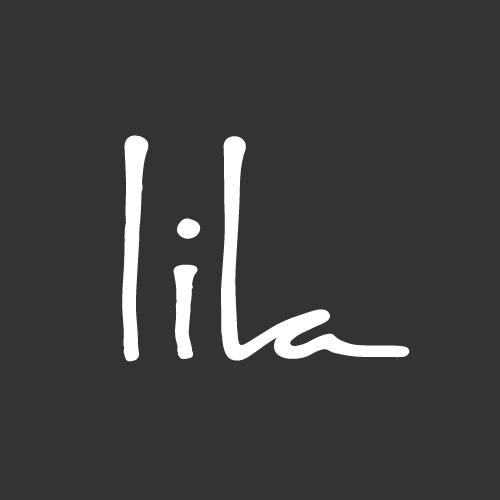 With no view from each room, curtains were rarely opened. 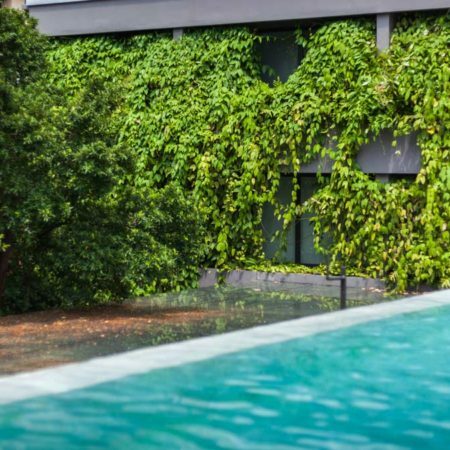 Thai herb, Thunbergia laurifolia Lindl. 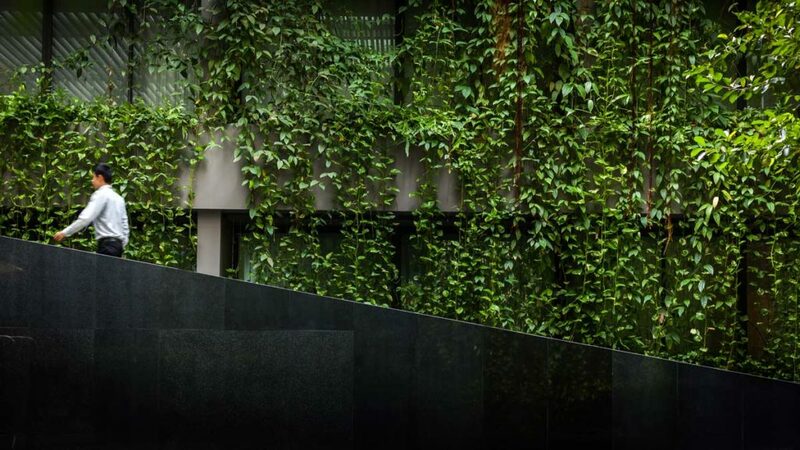 was planted just outside the windows. 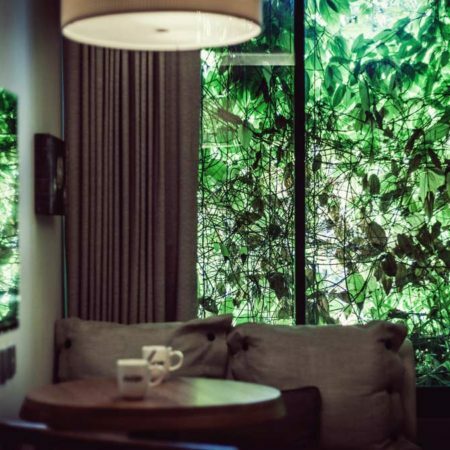 This fast growing herb covered most of the windows within months, acting as living curtain to filter outside heat from entering the rooms. 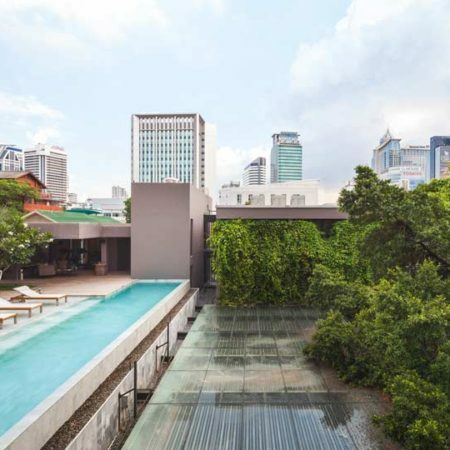 Finally the pool was placed on top of restaurant’s roof. 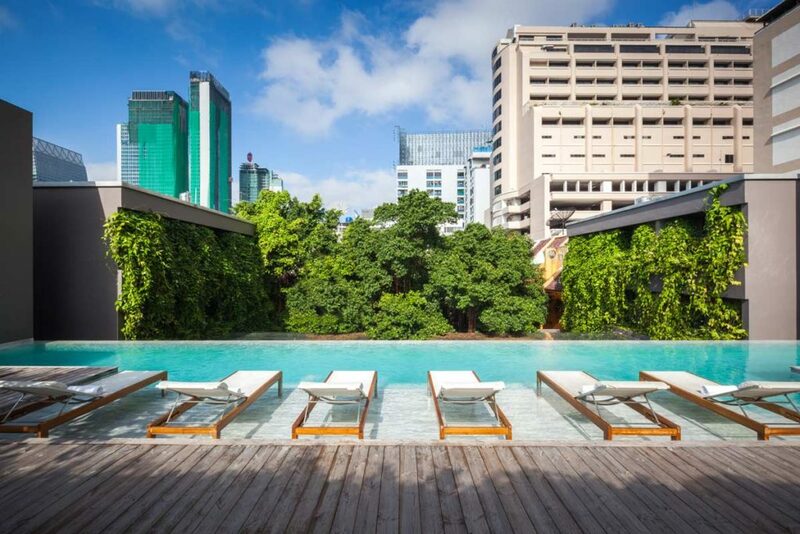 This is the only place where hotel residents would fully get sunbathing. 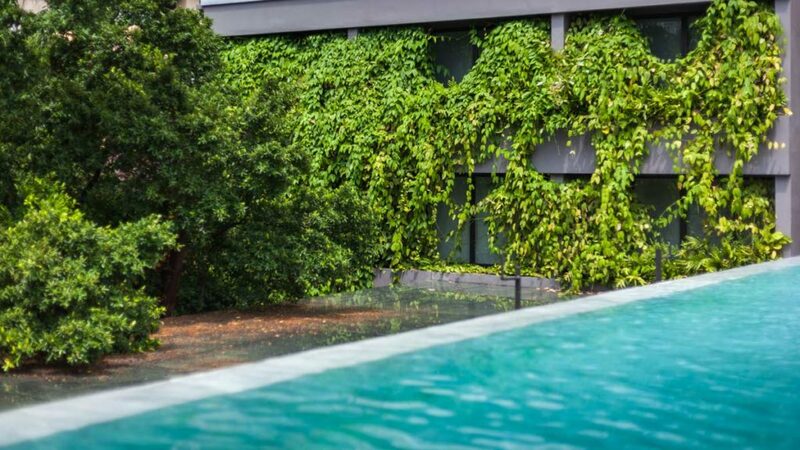 However, water in the pool also helped reducing the heat for the diners below. 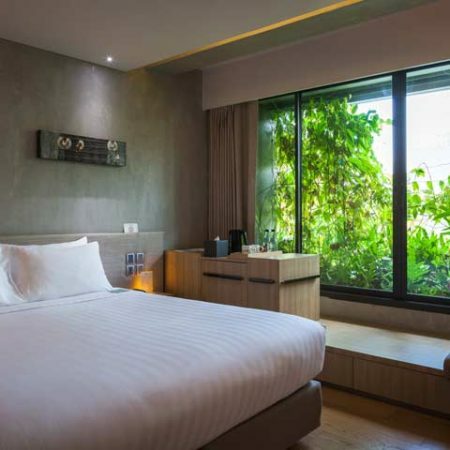 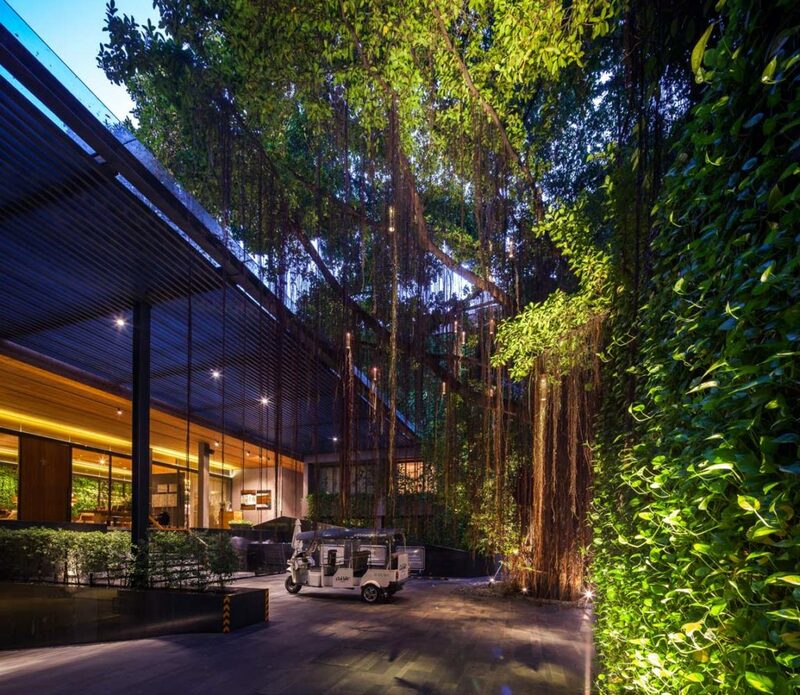 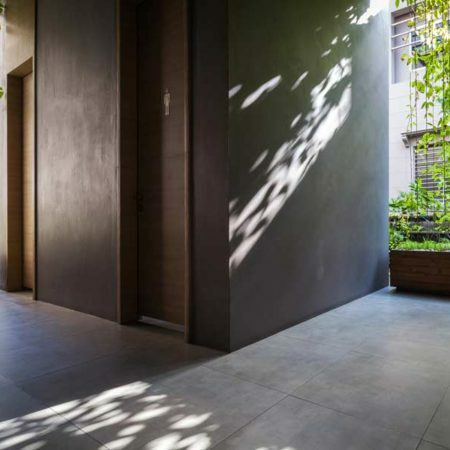 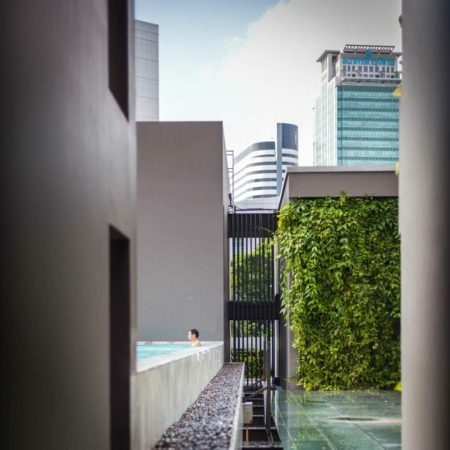 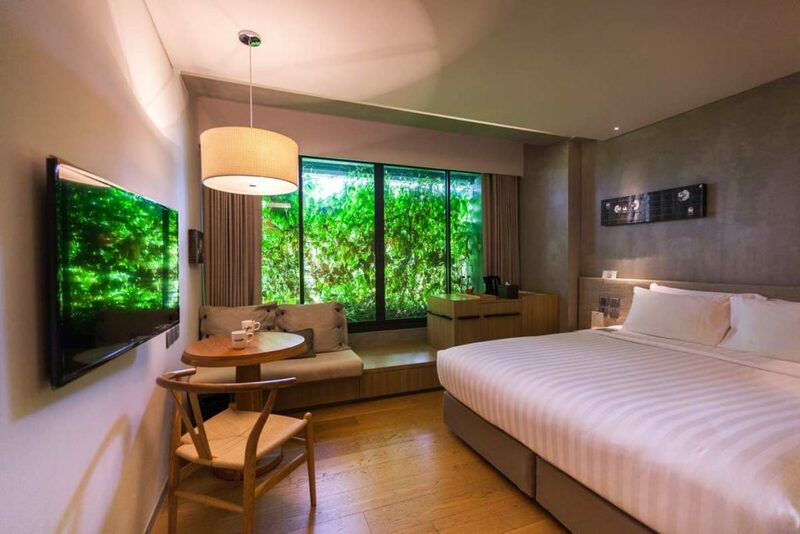 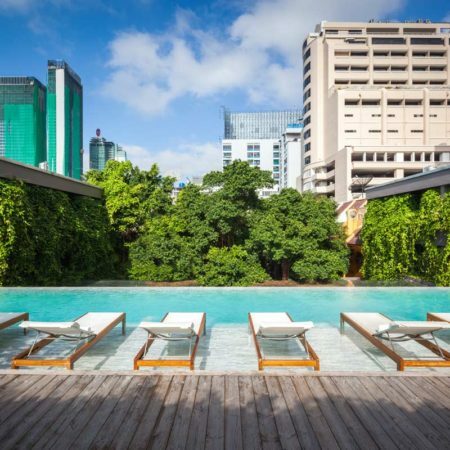 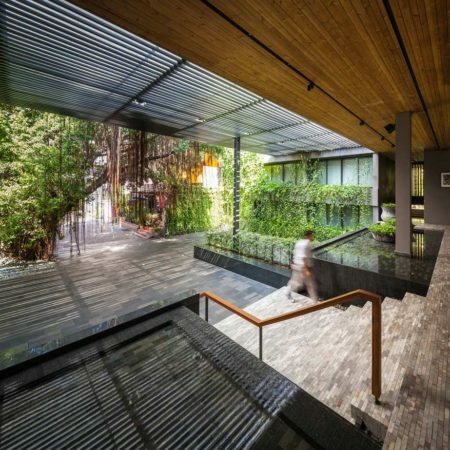 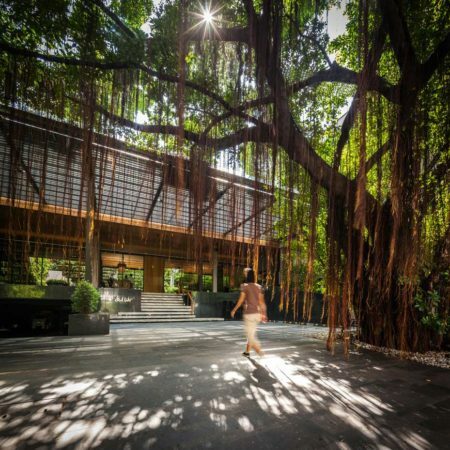 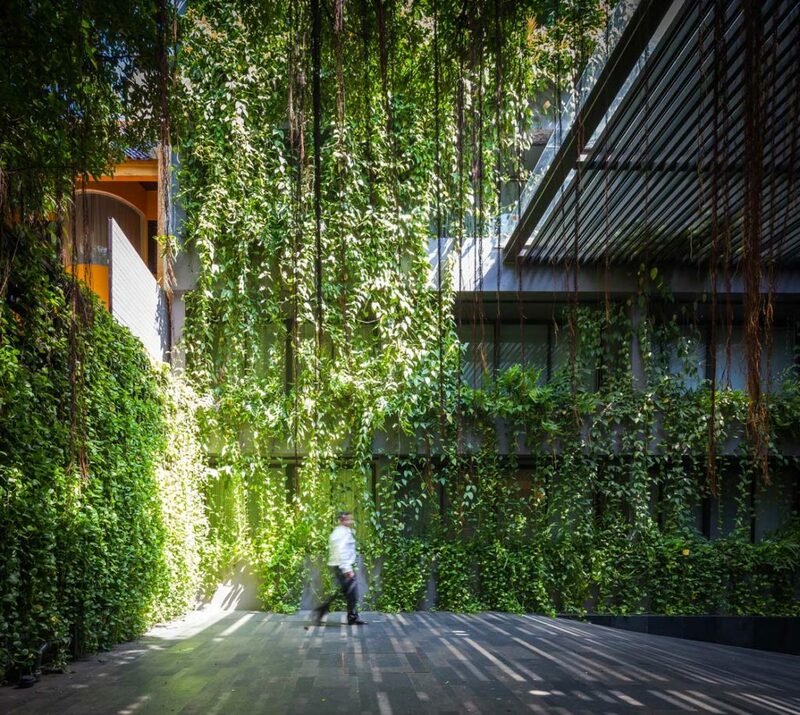 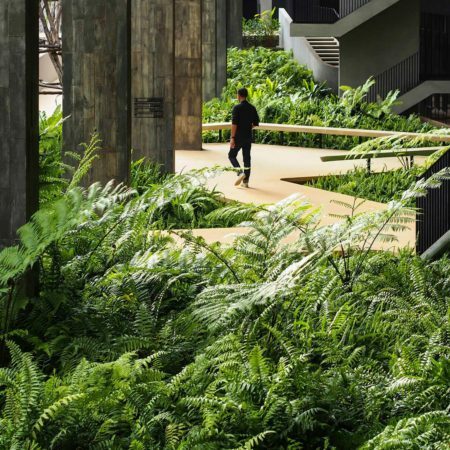 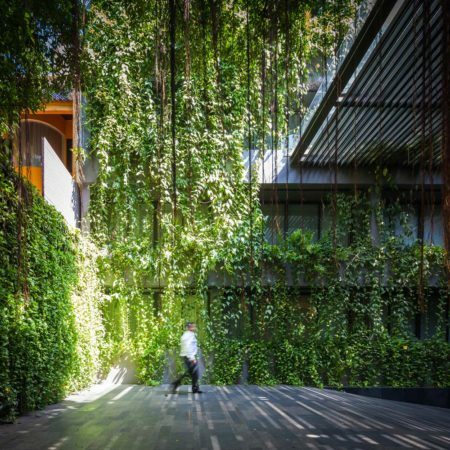 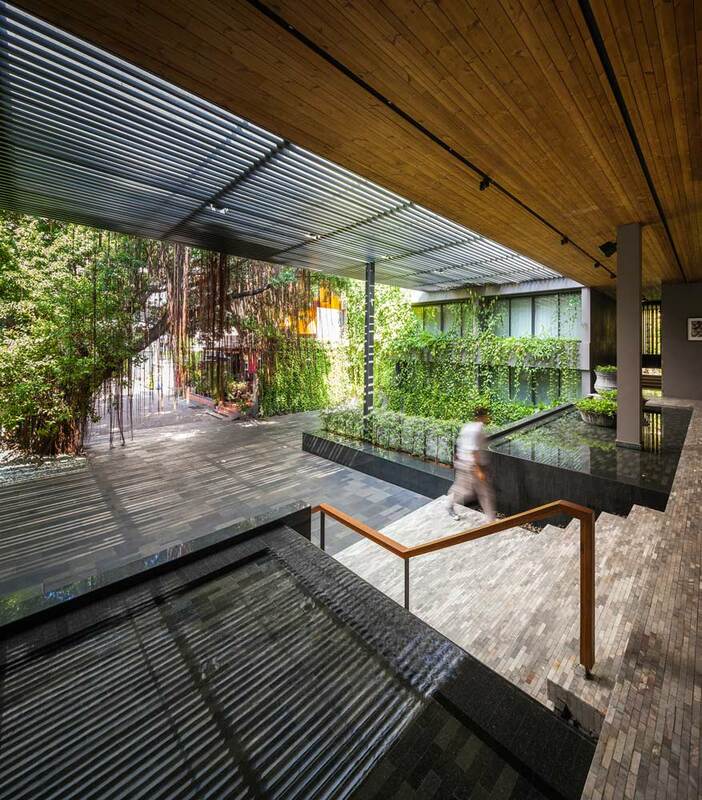 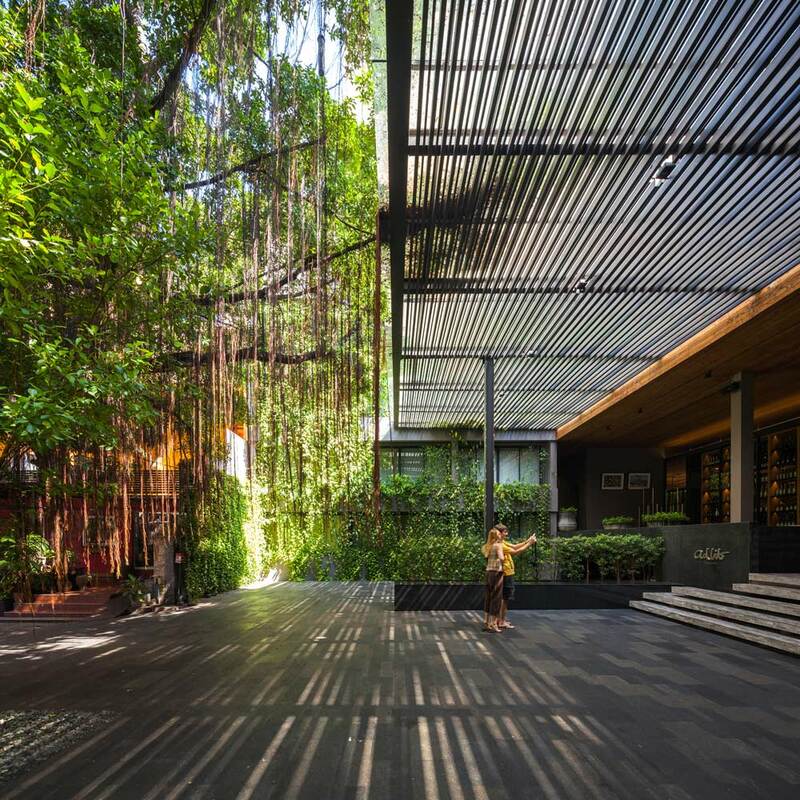 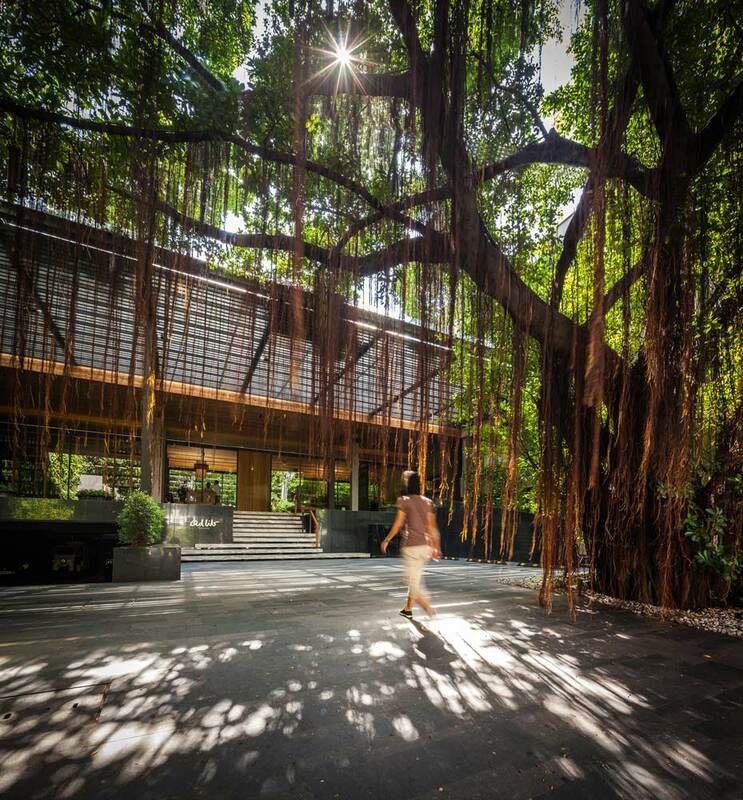 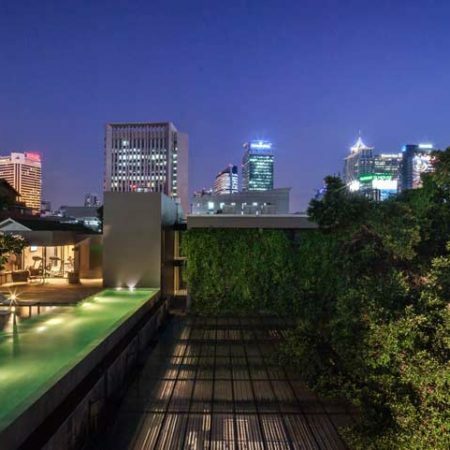 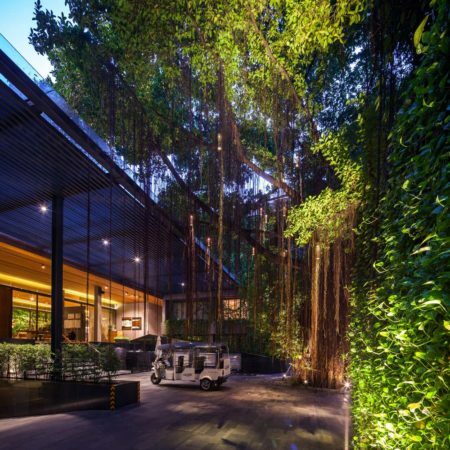 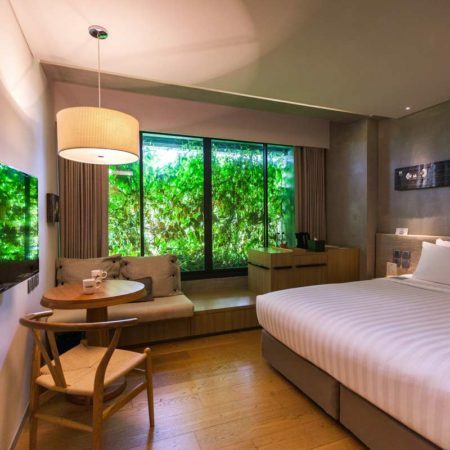 After the completion, the hotel surprises every visitor, who did not expect this hidden oasis just right off a busy Bangkok neighborhood.